Now You Can Support the Mahwah Municipal Alliance While Shopping on Amazon! If you're looking for a simple, automatic way to continue supporting the Mahwah Municipal Alliance, you should start your Amazon shopping at smile.amazon.com. You shop as you normally would on the site, at no extra cost to you, and you don't need to make a separate account. Bergen County’s Division of Mental Health became a trailblazer in the movement to end the stigma associated with mental illness by asking Bergen County towns to designate themselves Stigma-Free. Mahwah’s town council and mayor have signed a resolution declaring Mahwah a Stigma-Free Zone! Thank you to Ramapo College for hosting and partnering with the MMA to present the Dying in Vein Program on Janurary 31st, 2018. Over 300 people attended this event. The film was very impactful and an informative panel discussion took place afterwards. Today our children are using the internet and social media in almost every facet of their lives. While the internet may make our lives easier and is beneficial in many ways it also comes with many inherent dangers that as parents we must familiarize ourselves with to protect our children. 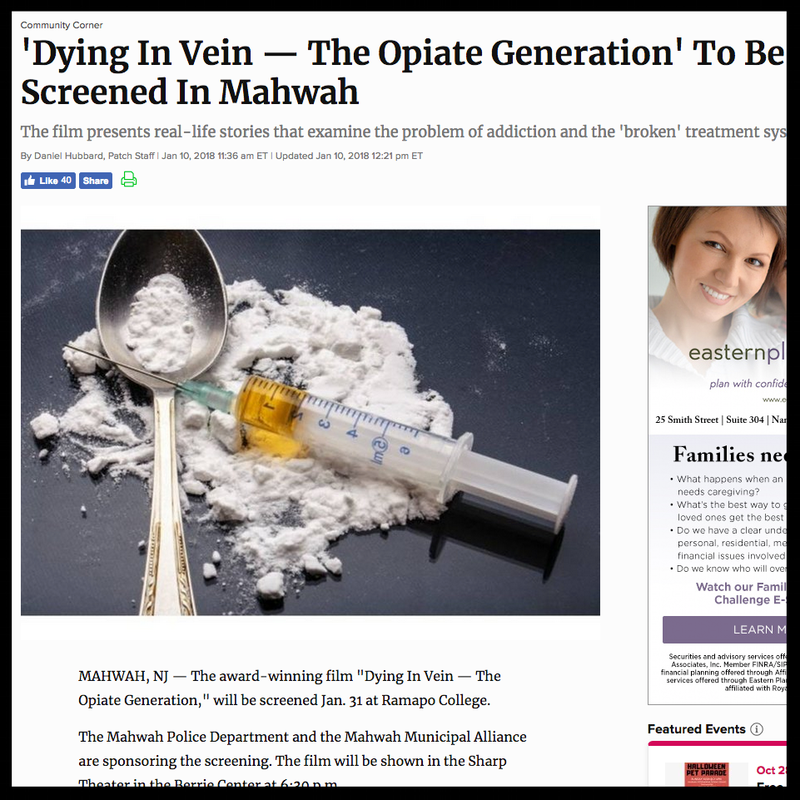 The Mahwah Municipal Alliance (MMA) is pleased to announce the appointment of Dana Romano to act as a community liaison and advocate for those families and individuals struggling with addiction.